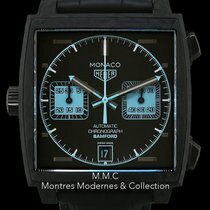 One of only five hundred worldwide, the limited edition Bamford Monaco, model reference CAW2190.FC6437. 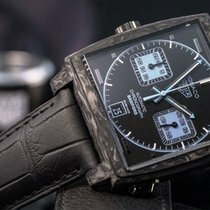 Designed by George Bamford, the 39mm carbon case is fitted with a black dial with aqua blue sub dials and details. 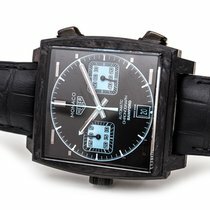 Fitted with a matt alligator strap and a folding Heuer clasp. 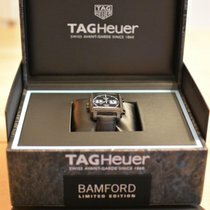 Supplied with a Bamford limited edition Tag Heuer box, warranty card and Bamford booklet. 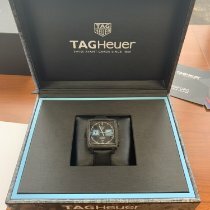 These watches are now sold out. We can arrange fully insured worldwide delivery. Call Dominic to reserve.